See more objects with the tag storage, decorative, department store. 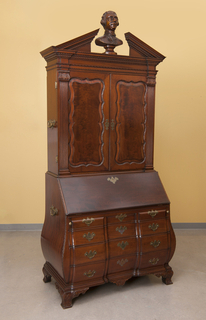 This is a Armoire. 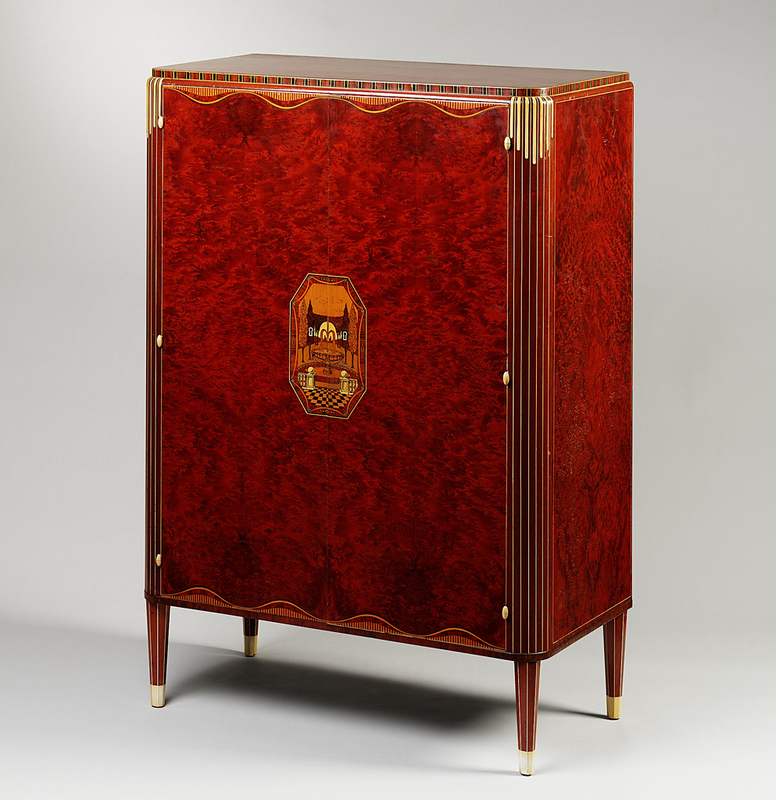 It was manufactured by Company of Master Craftsmen and retailed by W. and J. Sloane. This object is not part of the Cooper Hewitt's permanent collection. It was able to spend time at the museum on loan from Metropolitan Museum of Art	as part of The Jazz Age: American Style in the 1920s. It is dated ca. 1926. Its medium is thuyawood, mahogany, satinwood, plastic, ebony. 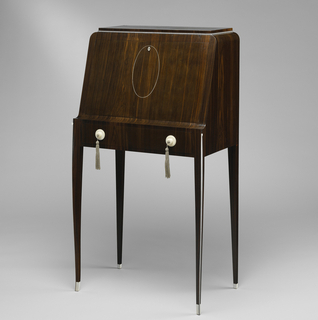 In 1926 recent acquisitions of Ruhlmann furniture were displayed at The Metropolitan Museum of Art. The Company of Master Craftsmen used these new pieces as inspiration to adapt high-style French designs to American tastes, in sizes appropriate for apartment living. It is credited Lent by The Metropolitan Museum of Art, Purchase, Theodore R. Gamble, Jr. Gift, in honor of his mother, Mrs. Theodore Robert Gamble, 1980 (1980.333).